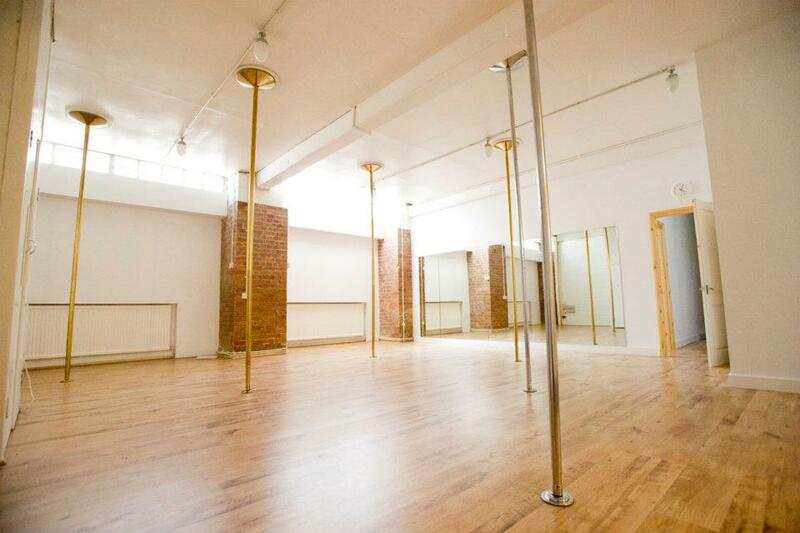 A bright studio equipped with 7 poles for pole dancing if required or to hire as a blank canvas. Popular with photo shoots and filming as the studio is very versatile, all equipment can be cleared out and the studio turned into anything from a blank canvas for photo shoots, to a catwalk for fashion events or bespoke fitness sessions and branding events. Limited on-street parking available outside the venue, NCP car park 7min walk away under The Barbican. Basement venue with stairs only access. London Dance Academy is a beautifully versatile venue for hire in central location close to Old Street, Shoreditch, Barbican and Farringdon. A dance and aerial studio comprising three rooms, changing room and toilet facilities ideal for blank canvas events, tailor-made PR events, filming, photography, rehearsals, auditions, workshops, masterclasses and bespoke events. 3 studios available for hire separately or exclusively, all laminate flooring and mirrored, with some natural daylight, but ideal for creating different lighting environments. Fully equipped for antigravity and aerial yoga, aerial hoop, silks and ropes, as well as pole dancing. All spaces are flexible and equipment can be removed as needed. Our events and talent agency is happy to help with all aspects of creating and sourcing your event, including providing aerial, circus and pole dancing performers, dancers in a variety of styles, fitness instructors and PTs and event management support.